ITG is proud to announce that Andrew Bruhn, a first year performance major at the Wheaton College Conservatory of Music, is the October 2004 recipient of the Young Artist Award. Andrew is studying with Terry Schwartz at Wheaton College. He is also a student of Barbara Butler (Northwestern University), and of William Scarlett, (former assistant principal trumpet of the Chicago Symphony Orchestra). This past summer Bruhn played in master classes for Barbara Butler and Charles Geyer at Northwestern University. Andrew Bruhn graduated from Batavia High School in June of 2004, where he was principal trumpet of his high school band for four years. While in high school he was a member of the Illinois All-State Honors Orchestra. Andrew was a principal player in the Chicago Youth Symphony Orchestra (CYSO), the Encore Chamber Orchestra, and the CYSO Brass Quintet (a semi-finalist at the 2002 Fischoff National Chamber Music Competition). Bruhn is an alumnus of the Interlochen Arts Camp, and won the Interlochen Fine Arts Award for Trumpet in 2000. He was awarded the Emerson Scholarship from Interlochen in 2003 for which he was given a full scholarship. He spent that summer playing in the World Youth Symphony Orchestra. In recognition of his outstanding talent, ITG will present Andrew Bruhn with a complimentary one-year membership. ITG is proud to announce that Jason Brodsky, a graduate of East Meadow High School in New York is the June, 2004, recipient of the Young Artist Award. Brodsky is currently studying classical trumpet with Leon Petruzzi. For the past two years, Jason has performed in both All State and All Eastern Honors Ensembles. His membership in his school's jazz, concert, and marching bands has also been augmented with performances in the school orchestra. Jason owes his trumpet success to a phone call from his high school band teacher, Stephen Engle, who suggested that Jason join a school brass quintet during his ninth grade year. The quintet consisted of four senior All State brass players. With this group, he participated in master classes with the American Brass Quintet, as well as with Philip Smith of the New York Philharmonic. That year culminated with the group winning the Grand Prize of the 2000 New York Brass Conference Brass Quintet Competition. Jason has been able to expand his music performance experience through extracurricular participation in the Long Island Youth Orchestra, the Metropolitan Youth Orchestra, and the Nassau Suffolk Performing Arts Wind Symphony. These groups have gone on summer performance tours to Europe, North Africa, Canada, Scandinavia, and Hawaii. Music has added a whole new dimension to Jason's life, a passion and confidence that he will always retain. In recognition of his outstanding talents, ITG will provide Jason Brodsky with a complimentary one-year membership. ITG is proud to announce that Laura Anne Wilde, of Watertown, South Dakota, has been awarded the ITG Young Artist Award for March 2004. Laura is currently a senior at Watertown High School. She has been principal trumpet in the South Dakota All-State Orchestra for three consecutive years. In addition, she has been a member of the All-State Band and All-State Jazz Band for two years. Ms. Wilde studies trumpet with John F. Colson of Brookings, South Dakota. During the summer of 2003, Laura studied at the Interlochen Summer Arts Camp in Michigan where she successfully auditioned into the top band. Other notable achievements include receiving the Agnes Jardine Scholarship Award at the International Music Camp and playing principal trumpet in the band and orchestra at the St. Olaf Summer Music Camp in Minnesota. In recognition of her outstanding talents, ITG will provide Ms. Wilde with a complimentary one-year membership. ITG is proud to announce that Jon Kratzer of Sanford, Florida has been awarded the ITG Young Artist Award for January 2004. Jon, a student of John Almeida of University of Central Florida, has enjoyed a rich background of musical experiences. He has performed in concerts with his high school band, the Seminole County All-County Band, the Orlando Philharmonic, and the North Carolina Symphony Orchestra. Jon has held the principal chair in the Florida Symphony Youth Orchestra for three years. In addition to performing principal with the Florida All-State Orchestra in 2003, he has occupied principal trumpet positions in the wind ensemble, symphony orchestra, honors brass quintet, and Jazz Ensemble 1 at Cannon Music Camp - Appalachian State University where he worked with Allen Vizzutti. 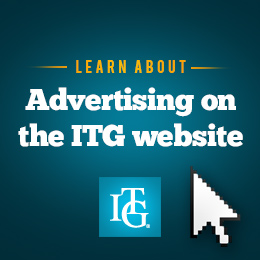 In recognition of his outstanding talents, ITG will provide Jon Kratzer with a complimentary one-year membership.